Trade credit and political risk insurance encourage global trade flows and investment in an increasingly volatile world. Big money is being invested in projects that aim to facilitate trade flows into and out of various parts of the world. The World Bank says it spends tens of millions of dollars every year to encourage private and public sector-led trade flows because it results in new investment activity. Financial and other crises across the globe underscore the persistent hazards of international trade. Many consider trade credit insurance and political risk insurance to be vital tools for companies engaged in international trade. In today’s marketplace, companies must offer competitive terms to vie for business against foreign players. But with cross-border investment comes a new set of risks. Just ask Evan Chuck. 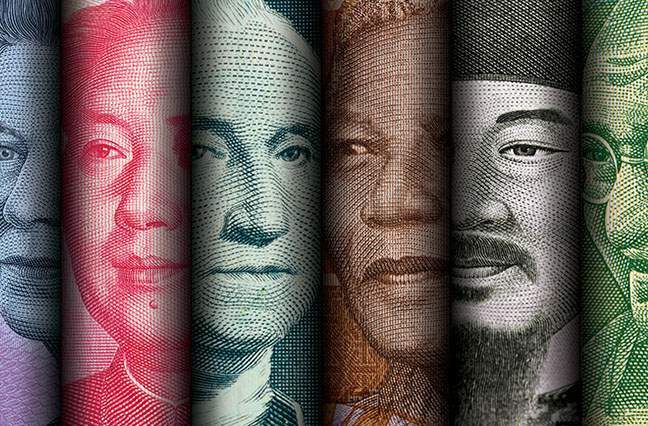 While regulatory uncertainty and different trade practices may plague investors in China, financial and other crises across the globe underscore the persistent risk of international trade. In May 2017, the government of Laos revoked concessions for 15 mining operations after investors failed to implement their projects as agreed. Defaulting on government obligations is one of five recent investor experiences in cross-border transactions. The others are the repossession of privatized assets; the revocation of concessions given by previous governments; the inability to convert or transfer local or foreign currency due to government action or inaction; and contract frustration due to inadequate legal and regulatory frameworks. Companies that pursue international trade opportunities and/or international investments can derive real benefits from both trade credit insurance (TCI) and political risk insurance (PRI). Both are not only easy to secure but are also affordable. In fact, many consider them to be vital tools for companies engaged in international trade. In 2008 and 2009, the industry paid out claims to insured policyholders totaling more than €9 billion (US$10.4 billion). Many of them would not have survived without their TCI compensation. TCI is a proven product whose history in supporting trade dates back over 100 years. TCI insures manufacturers, traders and providers of services against the risk that their buyer does not pay (after bankruptcy or insolvency) or pays very late. Suppliers who deliver goods and/or services on credit have to manage this credit risk to ensure that payment is received on time. Outstanding receivables are usually the largest or second-largest item on a trading company’s balance sheet. Bad debt losses affect liquidity and profits. Even worse, they might cause a company’s ultimate financial ruin. By insuring these receivables against non-payment or late payments, the company ensures its cash flow and its profit. The value of TCI was demonstrated during the recent global financial crisis. This period saw insured manufacturers and traders reimbursed for their losses on defaulting buyers. In 2008 and 2009, the industry paid out claims to insured policyholders totaling more than €9 billion (US$10.4 billion). Many of them would not have survived without their TCI compensation. Many of the most active insurers that cover the market today were established between 1925 and 1946. TCI has had wide market acceptance in the United States for more than 25 years and in Western Europe for more than 50 years. There are two primary sources of trade credit insurance: private sector insurance companies and the federal government. The three largest and oldest private insurers—Euler Hermes, Coface and Atradius—are based in Europe, where the trade credit insurance market developed much earlier and more rapidly. Given the size of most European countries, combined with their political and legal systems, companies there were forced to develop their export business to fuel sales growth much sooner than their U.S. counterparts. The transfer/payment is done in a foreign currency. In today’s marketplace, companies sell to international buyers and face competition from suppliers across the globe. A company must offer competitive terms to vie for business against foreign players. Banks lend more capital against insured receivables and usually do so with better financing terms since they can transfer the payment risk to the insurance company. This type of insurance also offers release for intercompany credit facilities. The TCI market has evolved and expanded, and there are now several private insurance players offering many alternatives to companies. Every credit insurer has three primary missions: prevent and control the inability of customers to meet their financial obligations; indemnify up to 90%; and recover unpaid invoices. A good TCI policy pays a percentage of the outstanding debt, usually ranging from 75% to 95% of the invoiced amount. But the payout may be higher or lower, depending upon the type of cover that was purchased. Any company is eligible for TCI coverage. The companies that benefit the most from TCI include firms with limited fixed assets, those that require more efficient debtor management, those experiencing rapid growth and those that offer longer payment terms to their customers. An important factor, which is also a huge benefit to exporters, is the bankability of the TCI product. In the absence of TCI, many transactions need to be consummated on a prepaid or cash basis or they might not happen at all. This is why TCI is such an essential credit management tool. And this is why it’s used to control risks, improve payment behavior, obtain vital buyer information, and monitor exposures. “In most cases, without a combination of TCI/PRI in place, exporters would typically transact via L/Cs [letters of credit], upfront payment or very restrictive terms of sales, giving them less of a competitive edge in foreign markets,” Sullo says. In fact, many consider a company’s executives to be legally obligated to use TCI. It’s also one key factor the major rating agencies consider when they assess companies. The agencies view measures taken to mitigate credit risk in a very positive light. When the TCI market began to grow following World War I and the Great Depression, the private market was not willing to cover political risk. In order to fill this need, many countries formed export credit agencies (ECAs). “Most of the countries in the world have their own ECAs to cover political risk—what the private market was not able or willing to cover,” says Xavier Monsaingeon, director of Platus, a TCI- and PRI-focused subsidiary of Verspieren Group. “It became a tool for the countries to support the exports of their nationals. Monsaingeon says the private market has the size and financial strength to compete and collaborate with the other market players. “When we syndicate the risk among various players we can find capacity for up to $1 billion U.S.,” he says, “so it means that they are capable of providing significant things.” Monsaingeon says this is also why the export credit agencies, the Multilateral Investment Guarantee Agency and the African Trade Insurance Agency not only compete but cooperate with the private market. “Insurers like to share the risks,” Monsaingeon says. PRI covers those events, actions or omissions of a government that are outside the control of the parties to a commercial transaction. PRI coverage excludes force majeure events, currency depreciation or devaluation, events in the control of a party in the commercial transaction or lawful actions of a government. Trade and investment activities covered by PRI include equity and quasi-equity, shareholder loans and loan guarantees, and commercial loans, among others. PRI enhances a project’s financial viability by transferring political risks from the control of the parties associated with the project to a third party, which is better able to bear the risks through specialized knowledge and portfolio diversification. Further, the third party possesses the expertise needed to share the risks through the use of reinsurance. PRI reduces the degree of risk, and the cost of capital is lowered. This is achieved by lengthening the term of the borrowing, reducing the capital charge (and thus the loan margin) and potentially the amount of debt provided. Insurers like to share the risks. To see insurance-fueled growth at work, turn to Africa, home of one of the fastest-growing economies in the world. The World Bank’s leading project created a financial facility that pools the capital contributed by African governments through their subscription in the share capital of the Africa Trade Insurance Agency (ATI). These funds enable ATI to underwrite insurance policies to cover short-term to medium-term political risk as well as three other conditions: comprehensive credit insurance for private-sector buyers; the non-honoring of sovereign obligations (covering loans against losses resulting from a government’s failure to make a payment under a guarantee); and trade cover for sub-sovereign obligors, wherein a local or state-level government entity is the obligated party (as bond issuer, borrower, debtor, insurer, etc.) to repay a debt. In addition, the financing issued by ATI can be used to fund eligible investments and share repurchases and to make insurance facility-related payments. According to its founding document, ATI was established at the initiative of the Common Market for Eastern and Southern Africa (COMESA) to “[f]acilitate private sector-led trade flows, investment and ‘productive activities’ through the provision of insurance, coinsurance and reinsurance, financial instruments and related services.” COMESA, headquartered in Zambia, was created as an organization of sovereign states that agreed to cooperate in developing their natural and human resources for the good of all their people and to promote sustainable economic development. In this context, the main focus of COMESA has been on the formation of a large economic and trading unit to overcome trade barriers faced by individual states. Encouraging private sector insurers to assume risk in Africa. ATI is owned by the African governments that signed the charter and subscribed to the share capital. (Although ATI is open to all member states of the African Union, not all of them have joined.) ATI is supported by the World Bank and partners with Lloyd’s of London and other major private insurance companies and with private and public credit insurers. ATI’s multilateral status—as well as the strong support it enjoys from the World Bank—creates a very powerful deterrent for any country to leave ATI in the lurch for a loss. In other words, there’s an underlying country obligation to make ATI whole for any political risk losses the government might cause. Governments worry that, by creating an incident that would require insurance to be paid, the international organizations behind ATI would, in turn, hesitate or even cease doing business in that country—a bad outcome for an economy hungry for capital. Plus, having invested directly in ATI’s capital means member states enhance ATI’s ability to resolve disputes without loss. As shareholders of ATI, member states also have a vested interest in maintaining the investment environment and ensuring that disputes are resolved. Multilateral insurers such as ATI act as neutral parties between the investor and the host government to ensure that investments stay on track. When a company ventures into international markets or sets out to grow within those markets, one factor that can help differentiate success from failure gets little attention: it’s the courage to make an honest assessment of risk factors, which means analyzing the costs of mitigation and then implementing active risk management strategies. The company that ignores these kinds of tools will only have itself to blame when competitors move into those markets, grab customers and reduce their risks. When 95% of the world’s purchasing power lies outside the United States, smart business leaders must look outward to see what it takes to grow globally. 05The Big Data Revolution— Is It Our Turn?